Ahh… blissful moments. Those delicious moments of relaxation, clarity, and peace. Those moments we call blissful and oh so necessary for sane living. Wouldn’t you agree? Sadly, many of us forget to take the time off from their busy days and spend a little bit of time on themselves. We forget that our wellbeing is not just physical but also mental. We need those little moments of me-time and relaxation in order to recharge and regenerate and continue with a positive outlook on life. I’d like to tell you how I took a blissful moment in my day last week. As you know, my internship is now over however last week was ultra busy withe a lot of projects being due and in general the last week of work chaos coming all at once. I like being busy but I can’t pretend like it wasn’t stressful at times. How did I relax during a stressful workday? During lunch time, whenever I felt like the day was getting busy and I felt myself getting stressed, I ate the lunch I brought a bit earlier and on lunch hour, I simply got my stuff and walked outside. I walked and I walked. I walked all around downtown for almost a full hour each time. It was great. It regenerated my mind, got me feeling invigorated from the (kinda) fresh air, and my body was happy for getting the movement and activity it desired to keep the blood flowing. Such a simple solution but yet it did so much to make my body and mind feeling more uplifted and positive for the rest of the day. Sure, I know some people may be more stressed than others and need more than a simple daily walk to relax but I can assure you, if you do this daily, you will feel so much better than you did before! 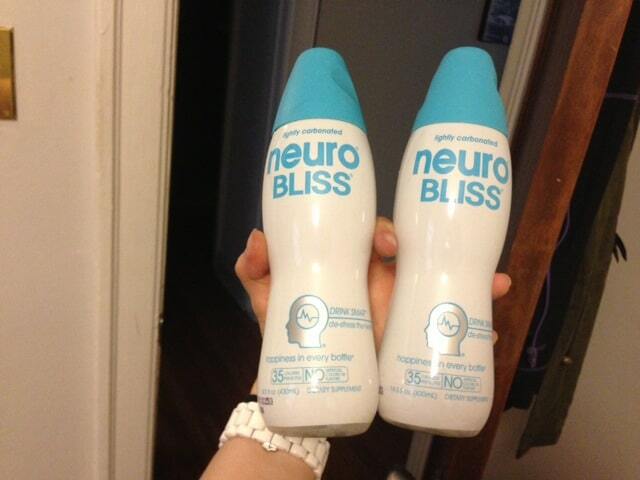 And if you need an extra boost – an easier boost of positivity in your day – I recommend neuro Bliss. Hey now, I won’t go crazy here. If you are so stressed your hair is turning white, this will not be your magic pill. However, this is a great alternative to taking terrible meds that only hook you for taking more and cost a ton of money. But then again, this may be just me – I am against prescription medications as a fix for almost any issue (except the obvious, like antibiotics for strep throat and flu and whatnot). So what is neuro BLISS? It is a tropical citrus lychee flavored drink designed to reduce stress and relax the mind. But no worries, no nasty ingredients here! This one is full of natural ingredients and vitamins to help you. It includes chamomile and a powerful blend of vitamins, minerals, and antioxidants including L-theanine, and amino acid found in green tea which has been found to reduce stress, produce relaxation, and enhance focus. This combination provides a calming effect and promotes a positive outlook by reducing stress levels, improving memory and attention and supporting the brain, resulting in the ability to concentrate on one’s goals – not the pressure. 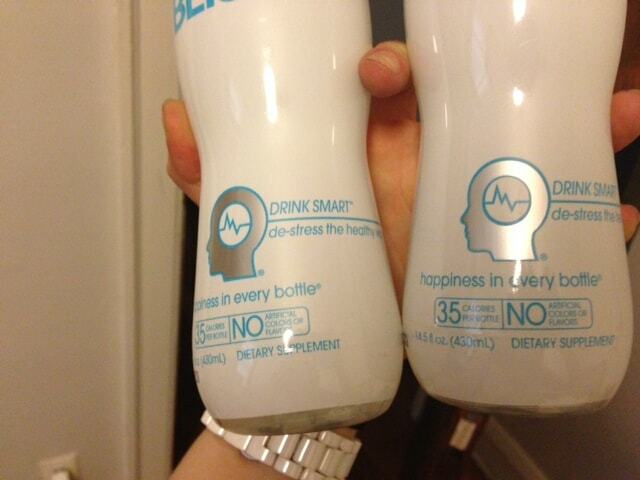 All varieties of neuro drinks have only 35 calories per bottle and contain no artificial colors or flavors. neuro drinks are available at Target, Walgreens, Safeway, 7-11 and other national grocery, convenience and drug stores. What’s your blissful moment? 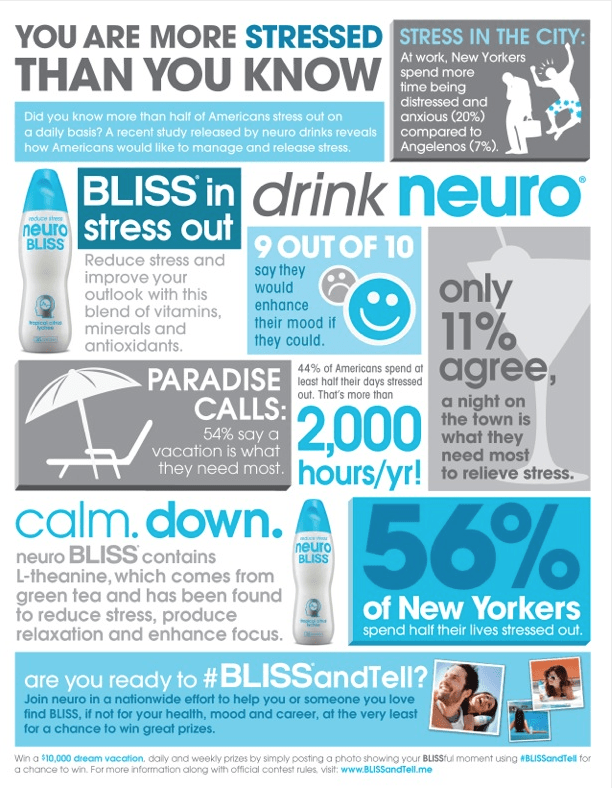 neuro BLISS is joing a movement to help Americans reduce stress in their lives and take time to relax. Enter the BLISS & Tell contest and weekly giveaway for a chance to win $10k dream vacation. Grab your own Neuro Bliss coupon here! you had me at CHAMOMILE. Oh yes I love sleepytime tea. They have a Sleep variety too, among others. I remember the first time I saw this, I think was 3-4 years ago and I saw one that was called Neuro Gasm. Obviously I got curious and bought it and expected to feel… yeah, I don’t know. Ecstastic feelings? Haha, I didn’t, obviously. But they have since changed the name to Neuro Passion. Random thought. I’ve seen this stuff before, but I never had the chance to try it! I’m in a very stressful time in my life right now, I wonder if this’ll do anything to make it feel less crazy. I could always use some positivity in my day! A blissful moment is yoga. Even if there is only time for a short session it works wonders for destressing. My blissful moment is playing the piano or taking a bubble bath with a glass of wine and my favorite magazine in hand (which unfortunately, doesn’t happen too often)! I might have to pick up one of these drinks to have the next time I take a relaxing bath, since I can’t have wine for several more months!